Has anyone put together any time of formal beginner training for JotForm, like a JotForm 101 virtual course or something similar? 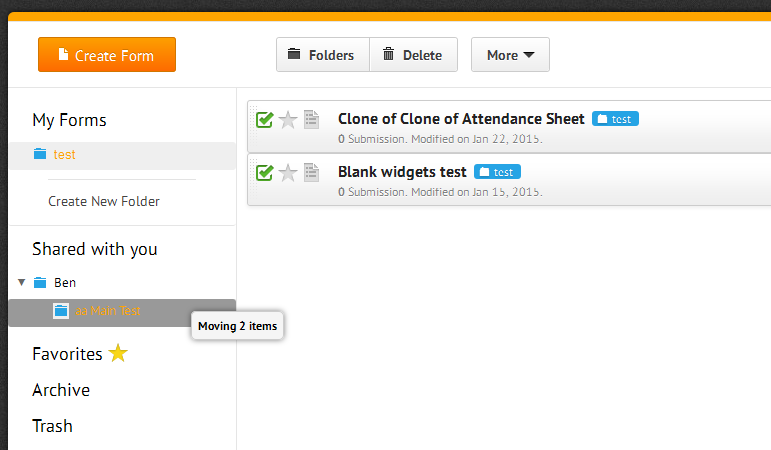 I've migrated most of my organization over from Adobe Forms to JotForm in the past month or so. Some users have picked up on it quickly, but others have not for some reason. The videos are good, but folks here are demanding that I hold a training session where I go over all the basics to start creating and sending forms and surveys. I'm not a trainer (I'm an IT guy), and to say I have no time to put together a crash course would be an understatement. Regardless of my time or ability, I'm giving one next Tuesday. Does anyone know of a resource for a well-rounded introduction to how to use Jotform? Thank you. I am actually not sure what kind of training would be required to use the form since jotform is basically like any other form on the web, the only difference is the style and how easy it is to use it. I presume that you are actually looking for the way to use JotForm Form Builder instead of a jotform (which can have so many different fields and styles). If that is the case, then I would suggest taking a look at the vast knowledge shared in our guides: http://www.jotform.com/help/ and in the videos: https://www.youtube.com/user/TheJotForm (which you seem to have already seen). Form Designer Tutorial: Let's create fantastic forms! How to make your forms multilingual? If you have any specific questions do let us know and I do hope that your training session goes without any difficulties - but we are here if we can assist. After I submitted that question, I started finding some of the links that you list in your reply. Thanks so much for taking the time to reply with those. I hadn't found all of them yet, so they are extremely helpful. Great to hear that and please do let us know if you have any un-answered questions after going through our guides and we would be happy to help with them. So far, the #1 most confusing issue for users is how Master accounts and sub users function together. For instance, I have one or more people in every department upgrade to Premium, Economy or Professional, and I tell them to add sub users as collaborators to their forms. I have learned from reading the forums that those sub users must create forms or clone forms in the folder shared with them by the master account in order to be subject to the higher submission limits of the master account. People just aren't understanding this concept. Sub users are creating forms in their own My Forms folder and wondering why they are hitting their limits so fast. I'm working on a graphical explanation that may help them, but it's challenging. Thanks again for your response, Ben! OK, I understand the confusion there and I can see how that can be a problem to explain. - This guide explains it all, how to create a sub user and how to share the access to submissions and give permission to edit the forms. This is not directly related, but I like keeping things optimized and that might be of great help. When it comes to sub account user setup, you can share the folder instead of all forms to a specific person so it becomes a faster management tool. This is our newer guide that goes in and explains the subject. I have learned from reading the forums that those sub users must create forms or clone forms in the folder shared with them by the master account in order to be subject to the higher submission limits of the master account. Yes that is true, but..
People just aren't understanding this concept. Sub users are creating forms in their own My Forms folder and wondering why they are hitting their limits so fast. If you are having a sub user invited to the jotform, then they can only create forms in the shared folder (additional steps are needed to create their own forms). If you on the other hand create the jotform account and then set it as a sub-account user, they would be able to create their own forms and the forms of the main account. So, did I make things more complicated by telling sub users to create their accounts BEFORE their master account added them as sub users to their folders? So, if I'm a sub user, and I create a form in My Forms (outside of the shared folder) then move that form to the folder that's shared with me by my department's master account (upgraded license), then suddenly that form adheres to the limits of the master account instead of the response limits of my own free account? No, there is no wrong or right here. The only difference here is that they can now create their own forms, otherwise they would not be able until they clicked on the shared folder. That might raise some other questions altogether as it might seem that they can not create them at all so your way would be the best for those not already familiar with JotForm. Now since we can only have one issue / question per thread and to make it easier for you to find the answers later, I have moved this second question to a new thread. I have moved it to here http://www.jotform.com/answers/595059 and will be replying to it shortly.